If you are writing scientific paper or such documents, you need table of figures. Actually it is same with table of contents. 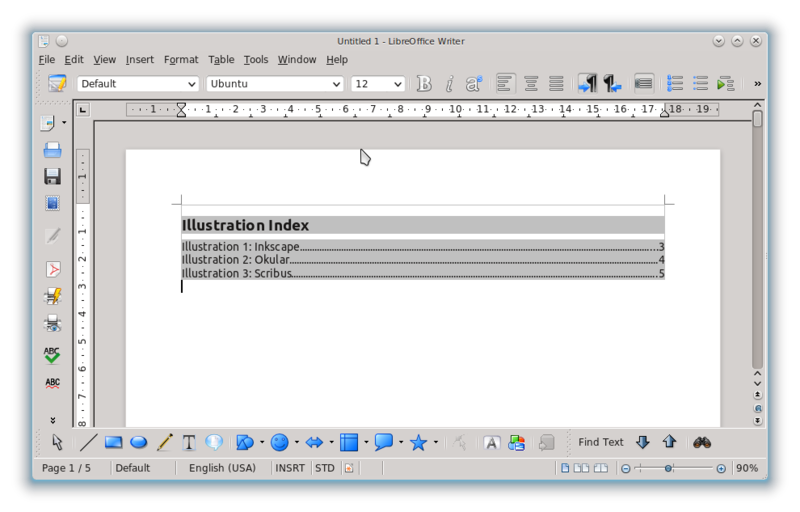 LibreOffice calls it Illustration Index. We will show you an example. Create a document that consist of 4 pages. Put your cursor on page 2. Insert a picture on page 2. You can do copy-paste from your file manager or by menu > Insert > Picture > From File. Set picture caption (description text below image). This is the first picture. Insert a picture for page 3. Give it caption. Insert a picture for page 4. Give it caption. Put your cursor on page 1. Insert > Indexes and Tables > Indexes and Tables. In the Insert Index/Table window, choose Type > Illustration Index. Then click OK. If you want to change the title of this table of figures, enter the title in Insert Index/Table window. After you create it once, then you add many images after, you should update the index. 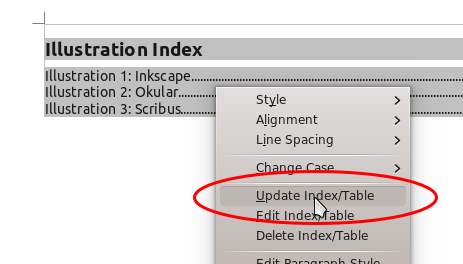 Right click on the index > Update Index/Table.